One of the most popular TV series ever made THUNDERBIRDS was first screened in the UK in 1965 and has rarely been off screens since, becoming an indelible part of British pop culture. 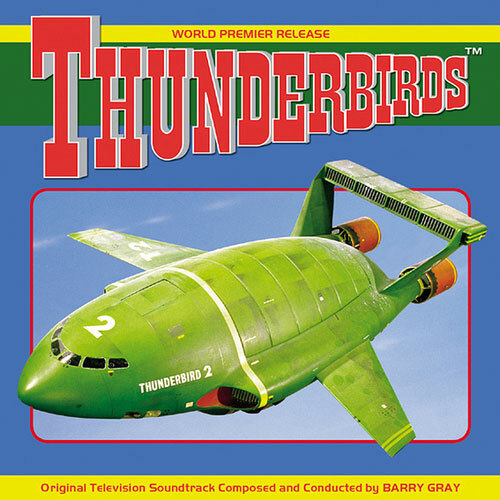 Composer Barry Gray’s 20 year association with television and film producer Gerry Anderson spanned such unforgettable TV shows such as STINGRAY, JOE 90, CAPTAIN SCARLET, UFO and SPACE:1999. The recordings have never been made available before and have been carefully restored and edited from Gray’s own archives courtesy of The Barry Gray Estate and Carlton International. Includes music from the episodes: Sun Probe, The Perils Of Penelope, The Cham Cham, Vault of Death, The Man from MI.5, Desperate Intruder, Pit Of Peril, The Impostors, and Trapped In The Sky.